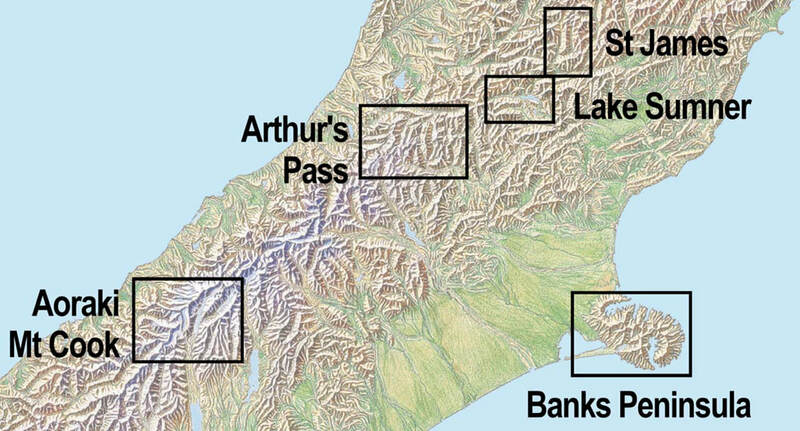 This is the only topographic map to show the whole of the Banks Peninsula on one sheet at this scale, giving emphasis to the walking tracks in this popular Christchurch recreation area. It is very easy to read with a clear road network and full topography. 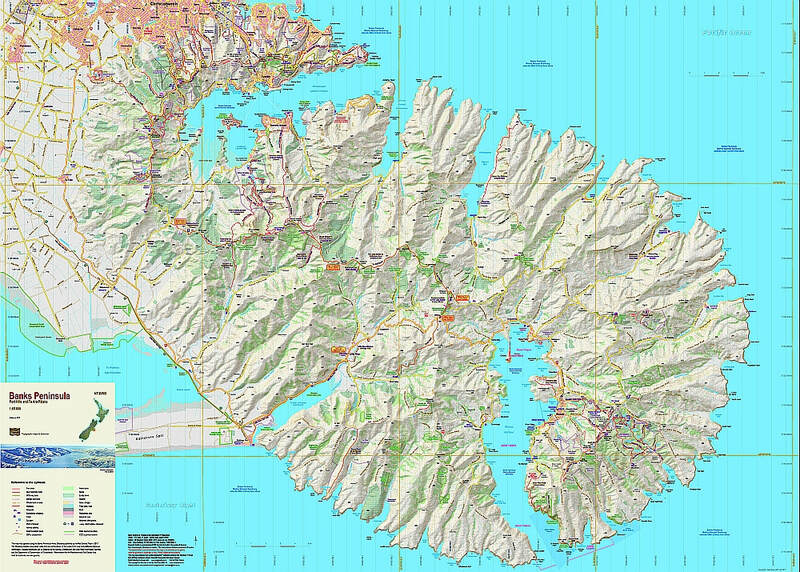 The 2017 edition incorporates the latest track changes on Te Ara Pātaka and adds the DOC and CCC Reserve boundaries. It is printed on high-quality Polyart synthetic paper. Map $24. Tube $7. Plus postage. Printed on 90gsm waterproof Polyart synthetic paper.